I have tried many rosehip oils, my favourite one is by Trilogy, but after coming across this and reading the views I wanted to give this a go. Also, I bought this oil to get rid of a spot mark/scar - I have been using this for a week and have noticed that it has reduced the appearance of the mark, so I'm excited to see the results after a month of using it! I use this daily at night and it dramatically improves the texture and condition of my skin. I wake up dewy and my skin has a lovely feel to it. I use a cocktail of vitamin C, HA, antioxidant and SPF serums in the morning (moisturizers make my combination skin greasy throughout the day) and this oil is the perfect overnight conditioner that makes my serum routine really work. I've ran out and tried the Trilogy version and it just wasn't the same, will be reordering! this has really helped control my breakouts and its really helped lighten my scars in the space of a few months. a little goes such a long way. HIGHLY recommend this for people who have acne scars and still breakout every now and then. The Best Facial Oil For Me!!! The best face oil I've tried so far! I tried this oil a few years ago and loved it, since then I've been trying other types of facial oil, but nothing suits my skin as well as this. I have combination skin, more oily on my nose and chin but normal/sometimes dry on my forehead and cheeks, that gets clogged super easily. This oil soaks into my skin so much better than other oils, which tend to just sit on my skin as an oily film and it really helps to get rid of my scars and marks which are from previous outbreaks of spots. It really helps to settle things down and regulate the oily parts of my skin and gives my skin a lovely glow. I literally can't say anything bad about this oil, if you buy you won't be disappointed! I have had this oil for aound a year now I can't recall if I purchased as part of on an offer or if iy was a free gift from LF . I am wary of using oils on my combination skin and they don't sit well isually under my foundation but I found a great use for this regenerating replenishing oil/ I massage it into my surgical scar every other day.. just one drop goes a long way! and it had definitely made a huge difference to my scar that is by no means new as I have had it for 22 years now. it is less obvious by far. 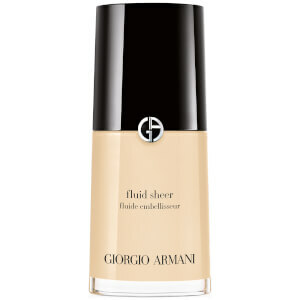 the skin is smoother and the discolouration has faded to match my own skin colour. after seeing the results I now use on face durining hot months when I am tanned an my skin is most uneven. and it give me a radiant glow when I don't have time to apply full make up. just a couple of drops covers my whole face! amazing stuff I will defintely buy again when i finally run out! 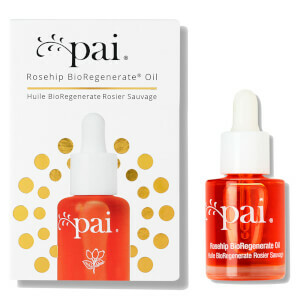 This is the first time I have used this brand of rose hip oil and I am so pleased I bought it. After just a week of using it, I have noticed a smoother and clearer complexion. It feels lovely when you put it on and doesn’t leave any greasy residue. It’s definitely going to be a regular feature in my facial skincare routine! Love it! Really nice face oil, doesn’t leave an oily residue and my skin feels soft and supple after application. Great service and price- free delivery a bonus. Thank you!